The first superfood: Doctors believed bananas could cure celiac disease. One miracle fruit can cure disease and make people lose weight? That’s bananas. 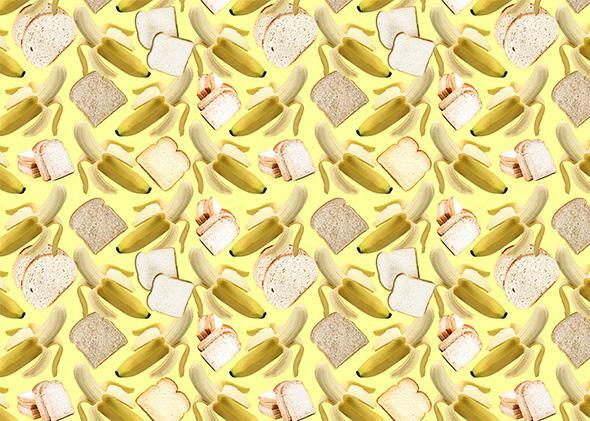 Gluten and bananas: mortal enemies? Excerpted from The Gluten Lie: And Other Myths About What You Eat by Alan Levinovitz. Out now from Regan Arts. At the turn of the 20th century, the United Fruit Co. mounted an aggressive advertising campaign to complement its in­creased capacity to grow and import bananas. With the fruit no lon­ger an exotic luxury, United Fruit took advantage of testimonials by doctors and nutritionists to reimagine bananas as a superfood—the acai or goji berries of the early 20th century. A 1917 industry publication, Food Value of the Banana, included a glowing endorse­ment from the Journal of the American Medical Association: “This fruit is sealed by nature in practically germ-free and germ-proof packages.” Numerous dietitians testified to their curative powers. It was only log­ical for physicians to try these superfruits with patients whose conditions had no viable treatment options. At the time, one such condition was celiac disease, and a prominent pediatrician and celiac researcher named Sidney Haas started a few of his own patients on a strict diet of bananas and milk, supplemented with broth, gelatin, and a little meat. The results were astonishing. Of 10 children treated, eight experi­enced dramatic symptom remission and dramatically increased height and weight. (According to Haas, the two who died failed to comply with his regimen.) Haas’ 1924 article, “The Value of the Banana in the Treatment of Celiac Disease,” described these results in hyper­bolic terms accompanied by impressively detailed charts, nutritional breakdowns of the diet, and before-and-after photographs of strikingly transformed children. In all likelihood, Haas’ young patients really did experience mi­raculous transformations, since they were no longer eating gluten. But Haas didn’t know about gluten’s role in celiac, so he came up with an unsubstantiated theory that bananas contain a special enzyme “capable of hydrolyzing” starch and “of converting cane sugar to invert sugar.” This enzyme, not the absence of gluten, was thought to be the primary driver of his children’s recovery. Validated by Haas’ success treating children with CD, bananas and the banana diet became increasingly popular. At Johns Hopkins, Dr. George Harrop tried a simplified version of the banana diet on dia­betics and found that while their diabetes remained unresolved, they lost a lot of weight. Harrop published his results in 1934. The public, predictably, went bananas. Overnight, the “bananas and skim milk” diet became a weight-loss craze. Like many low-carb, gluten-free enthusiasts today, fans of the banana diet extolled its ability to keep them satiated. One Milwaukee newspaper reported that women following it “do not go hungry” and “never have that pinched, ravenous feeling.” Incredibly, it is still rec­ommended on some mainstream health websites. Part of the diet’s allure was the banana’s existing status as a superfood. After Haas had developed the banana diet, United Fruit parlayed the fruit’s ability to fight CD into more general claims about its healthfulness. One emeritus Harvard Medical School professor re­marked in 1932 that the medical literature concerning the banana diet read less like science and more “like advertisements of the United Fruit Company.” But the opinion of the medical community was drowned out by enthusiastic newspaper headlines like “Bananas Help Ill Child” (in a 1932 edition of the New York Times). Such reports confirmed the amazing powers of bananas to an uncritical public, who happily generalized the therapeutic properties of bananas to themselves. World War II brought further opportunities for banana propa­ganda. American fruit ships were converted into military carriers, the railroad system was overwhelmed, and bananas became scarce. Newsweek and the New York Times described the odyssey of mothers searching neighborhoods for hours, desperate for bananas to feed their celiac-stricken infants. Soon after, a letter written by Haas appeared in the Times, assuring everyone that United Fruit was “doing all that is possible to meet the situation.” Since CD was thought to be very rare at the time, the United Fruit Co. made sure to complement sto­ries about the treatment of celiac with more general claims about the healthfulness of bananas, continually invoking nutrient density and high concentrations of calories and vitamins. Their strategy worked. The mythic superiority of bananas, based in part on their ability to treat CD, had incredible staying power. Working in the early 1960s, pediatrician William Brady wrote newspaper arti­cles and a book advising mothers to “begin feeding the baby banana at the age of four or five weeks instead of four or five months,” a program sure to make “puny, sickly, badly nourished infants thrive.” Anecdotes of bananas’ benefits abounded. “A Minnesota mother,” gushed Brady, “started her three babies on banana when they were about two weeks old.” The result? “None of the babies ever had a ‘colic,’ a laxative, an enema, or a suppository, and at the age of five or six weeks they all slept through the night.” Bananas had gone from a prescription for celiac to a miracle that prevented colic and made babies sleep through the night. As celiac patients now know, he was wrong. Currently celiac disease is incurable. The only known treat­ment, pioneered by Dicke, is abstaining from gluten. Ba­nanas, sadly, are just bananas. That much we’ve learned. What we haven’t learned, apparently, is the ability to be skeptical. Here’s what happened with the banana diet: A treatment originally meant for celiac patients turned into a weight loss fad. People ended up believing that if something can help with CD, it can also help with all sorts of unrelated conditions. Excerpted from The Gluten Lie: And Other Myths About What You Eat by Alan Levinovitz. Copyright © 2015 by Alan Levinovitz. Published by Regan Arts. Used with permission.